Today I got the chance to test our duplex communication device. 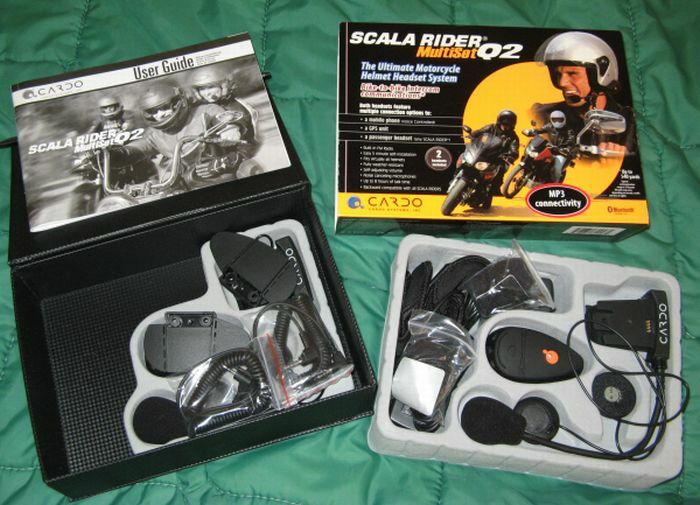 I got from Amazon.com a Scala Rider Q2 Multiset manufactured by Cardo for $250. A really fun thing to have and a must for longer trips. We can now share impressions about scenery, traffic, route and so on. Plus, it plays music/radio (from a stereo jack input), it can be used to control a GPS and it can act as a telephone headset. 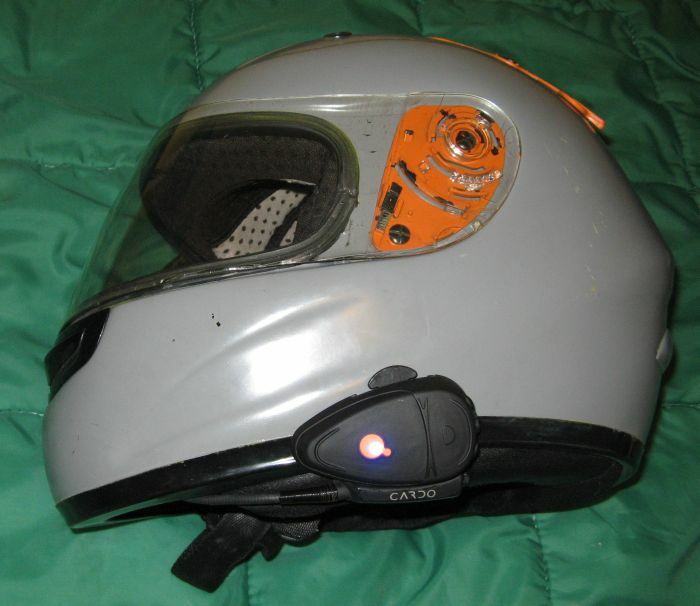 The Multiset can be used to communicate rider to passenger or between two riders, while the Teamset is a cheaper alternative that permits communication between rider and passenger only. 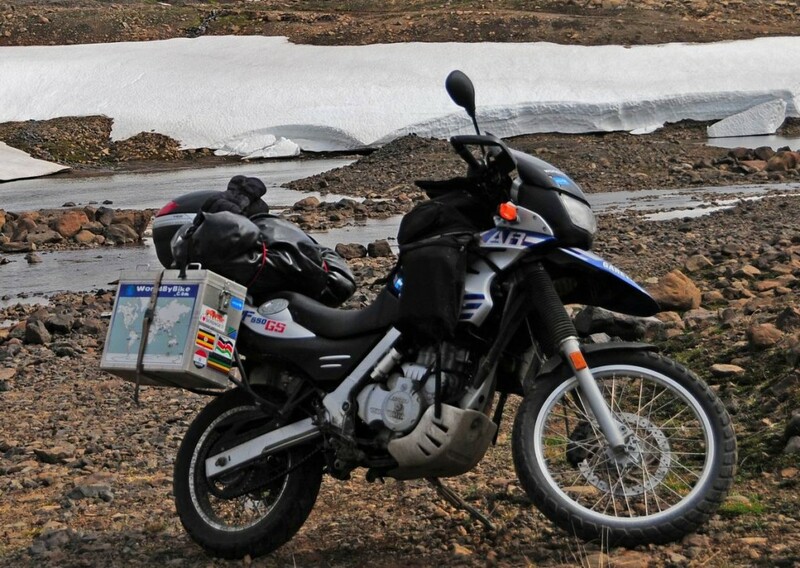 Whire riding in the mountains, I was able to hear my companion loud and clear when he was even 500m away from me. However, if the peer goes out of sight, the sound quality became poor or is interrupted temporarily. After 1hr charge time we were able to talk almost continuously for 4-5 hours without deplet ing the accumulators. The toys started coming in. 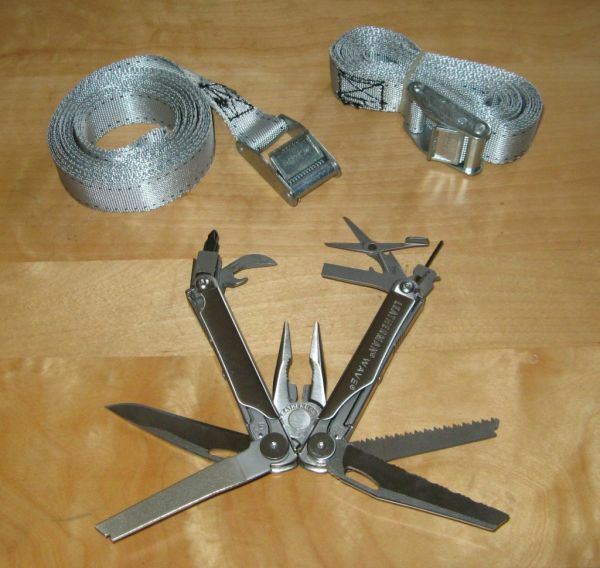 I got this Leatherman Wave for $65 on Amazon. Does not look as cool as my friends Skeletool, but it has more tools and i think this is more important for us. Also, two pairs of tie downs should be useful in case we need to add unexpected cargo. The first question was: what are the chances of succeeding? Which might be the risks? One very good source of info was ADVRider. Then we used UNESCO World Heritage Sites List to find out what is worth seeing. In order to get to see as many interesting things as possible, we decided to go southbound on the Pacific Coast, until we reach Tierra del Fuego, and then ascend on the Atlantic Coast. In order to avoid the risky Darien Gap we will have to take the ferry from Colon, Panama to Cartagena, Colombia. There is only one country in our trip that has visa requirement for Romanian citizen. That is Bolivia, but fortunately they have a consulate in Los Angeles. I will get back later with a more detailed plan, once it will be completed.